All applications are in pdf format. Please click the page you would like and then print it. The Board meets every third Tuesday throughout the year. Your completed application will be reviewed at that time and a final decision will be made. This is the only accepted process for your application. Your application will not be reviewed if payment is missing or forms are incomplete. 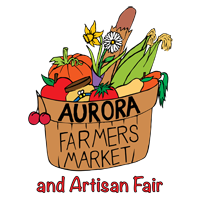 The Aurora Farmers Market and Artisan Fair, Board. 2018 Indoor Application We are not accepting applications for Christmas Market….